A new Public-Private Partnership policy for affordable housing has been announced, which provides for central assistance of upto 2.50 lakh rupees for each house to be constructed by private builders. This may also lead to an increase in investment by private players in affordable housing projects on government land, in urban areas. The Minister of State for Housing and Urban Affairs has unveiled the ministry’s plan for addressing the issue of solid waste management in Delhi. A corpus of Rs 300 crore will be set aside for the project, sought from Urban Development Fund, and to be implemented by Delhi Development Authority. This measure will aid in adding 670 metric tons of waste effluents to biodegradable waste, other than preventing spread of unclean gases and other diseases. a) The Brahmaputra Biodiversity Biology Boat- a laboratory to study and analyse various aspects of the ecosystem, along with climate change. b) The Foldoscope- a microscope made of paper and lens, it will be distributed in over 500 schools, colleges and scientists, with a major focus on north eastern states. c) Pytho- Pharma project- to preserve endangered medicinal plants. 17 of the Press offices of the government will be merged into 5 units, along with modernizing and revamping them. The five units will be at Rashtrapati Bhawan, Minto Road and Mayapuri in New Delhi, Nashik in Maharashtra and Temple Street in Kolkata. This measure will help in carrying out confidential and urgent printing work across the country. Indian Railways will be posting young and dynamic officers at the existing 75 major (A1 category) railway stations as station directors. The officers will be entrusted with the task to ensure that the railway stations offer reliable and sensitive customer care services along with monitoring repair works on stations, among many others. 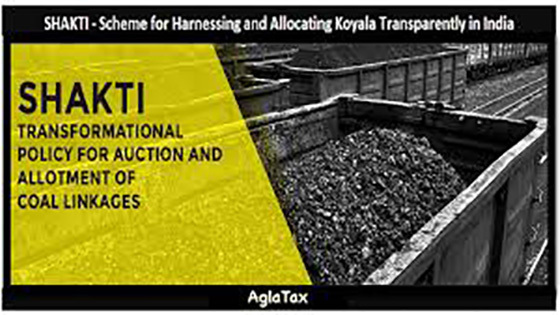 A new policy aimed at making coal allocations in a more transparent process, Scheme for Harnessing and Allocating Koyala (Coal) Transparently in India, was approved in May, 2017. Under this scheme, applications were invited from Independent Power Producers, with an incentive for bidders providing levelised discounted tariff to choose their preferred source(s). Bidding for the same was held for the 10 participating eligible bidders and allocation made on the basis specified. This step will help consumers with lower tariff rates and also be beneficial for the bidders as they will have the liberty to choose their preferred source. The provision of supplementary nutrition to children, pregnant and lactating mothers, under the Integrated Child Development Scheme for Anganwadi services, will benefit about 11 crore beneficiaries every year. The amount spent on each kind of beneficiary, specified under the scheme, is slated to be increased, intending to achieve an improvement in the nutritional status of women and children. The Centre has launched a nation-wide campaign, as part of the Swachh Bharat Mission, asking people to contribute to Gandhi’s aspiration of a clean India. This Ministry of Drinking Water and Sanitation initiative is being led by the strength of mass mobilization and by inviting cooperation from various sectors of the society. A major focus area is construction of toilets and making surrounding areas open defecation free. A number of activities will be organised on 2nd October, 2017, apart from various cleanliness drives planned as part of the campaign. The first national level conference, titled, “Mission Mode to Address Under-Nutrition”, was held in New Delhi, inaugurated by the Minister for Women and Child Development. The conference was held to discuss plan of action for achieving the target of Malnutrition Free India Mission, 2022. Ways in which various officers in administration could contribute to the vision were also discussed. The states of Chhattisgarh, Arunachal Pradesh and Gujarat were awarded for making progress in reducing instances of stunting, during the gap between the 3rd (2005-06) and 4th (2015-16) National Family Health Surveys. According to the Finance Ministry Report analysing India’s external debt, the figure has fallen by 2.7% at $471.9 billion, as of March end this year, compared to $485 billion at the end of March, 2016. This has been attributed to factors such as reduced commercial borrowings and NRI deposits. In addition to analysing important trends, the report also draws a parallel between India’s external debt with that of other countries, with an added focus on developing countries. A four-day fair will be organised in Jaipur, showcasing products of over 250 exhibitors, from 13 states. Buyers from over 50 countries are expected to attend the event. A roundtable is also scheduled to be held, discussing how Rajasthan can be made an Apparel Hub. The foundation stone for a first of its kind training institute in Telangana was laid by the Vice- President. This institute has been envisaged as an Institute to inculcate and boost essential skills among women and to ensure advanced employment opportunities for them. To be constructed on an estimated expense of Rs 19.95 crore, the institute will be able to train around 1000 trainees every year, in a diverse range of courses such as fashion design & technology, architectural assistantship, secretarial practice, food and beverages assistant, cosmetology and front office assistants. The Cabinet has approved the proposal to extend an ongoing skill development project, the Special Industry Initiative for Jammu and Kashmir, till December, 2018. Of the 22,237 candidates who have completed training, 14,694 have been offered jobs. The scheme has seen a good pace of progress in the region, despite the challenges. The top players preparing for Tokyo Olympics, Asian Games and Commonwealth Games will be eligible for a scholarship of Rs. 50,000 per month for their expenses. A total of 152 athletes have been selected to receive this amount as stipend, under the Target Olympic Podium scheme. The Ministry of Sports has started this initiative so that the training expenses of the players are taken care of, and they can entirely focus on the games. The Union Cabinet has approved a revamped form of Khelo India scheme, enabling 1000 selected athletes to receive an annual scholarship of Rs 500,000 each for eight years. Additionally, the scheme will focus on promoting 20 universities as hubs of sporting talent. The scheme also seeks to go beyond efforts in infrastructural developments alone, to develop an entire ecosystem so as to sustain excellence in sports and connecting rural India to global platforms of sports and games.